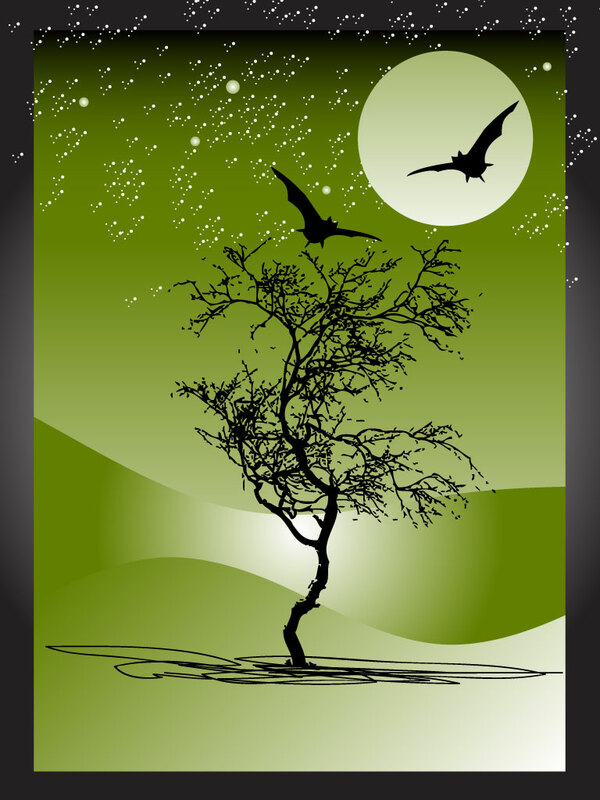 Halloween vector art footage with flying bats and tree silhouette during the night. Two bats fly in the moonlight over a tree. Stars glimmer in the night sky in this cool abstract background. Perfect for your Halloween party invitations. Tags: Bat, Bats, Creepy, Dark, Moon, Night, Scary, Silhouette, Stars, Tree.